Dadar is one of the most beautiful places of Pakistan.Dadar, best known for TB sanatorium, which was established by British Army in 1936. 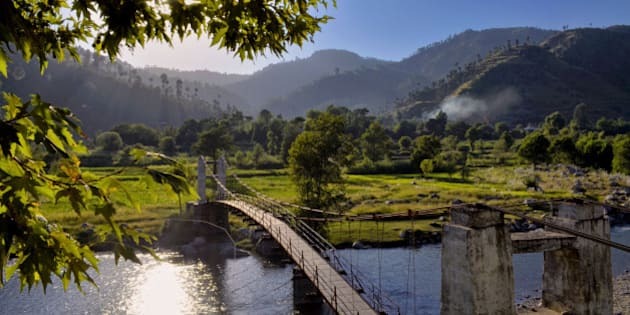 The depth of scenery, mesmerising beauty of the place and fresh air makes it a 'heaven on earth' ....Dadar is located some 30 km to the north of Mansehra. Starting from Mansehra following the Karakoram highway you reach Shinkiari (20 km, 20 - 25 min). From Shinkiari, you take the route to Dadar and start traveling along Siren Valley. It is some 10 km from Shinkiari to Dadar and takes about 20 min. So the total journey from Mansehra to Dadar is 45 to 50 minutes. Have you ever hit rock bottom? Or maybe you feel like you're there right now? I've been there. I know that feeling. I know how hard it is to pull yourself out. I also know how orgasmically joyful it feels to transform rock bottom into a life that is truly meaningful, energizing and exciting. A life you love waking up to. When you're sitting at your lowest point, the distance between where you are and where you want to be can seem like a thousand miles. But as the saying goes, a journey of a thousand miles begins with a single step. The following is the story of how I came to take my first step. It is chapter three of my new book, I Attract What I Am - How To Transform Failures Into An Orgasmically Joyful Life and Business. This story goes back six years to what felt like a very dark time in my life. I was so ashamed. A second divorce, really? What did that say about me? Who would want me after that? Was I just horrible at relationships? What was I good at? This marriage gave me a structure: family life, kids, retirement. Now what? The structure was broken. What was next? So how could it get even worse than becoming a single mom with a four-year-old? Well it did. I was in a marketing position for an online company. I loved my job. I loved the people I worked with. I had learned the most from this company. I had a great relationship with my boss - perhaps too good. We had become good friends. We joked a lot, we shared a lot. We were both going through some struggles and supported each other. Unfortunately, this made his girlfriend uncomfortable and she gave him an ultimatum: fire me or she would leave him. (And no, I never slept with him.) Guess what he chose? We had a conversation and he told me he had to let me go. He was nice about it. He told me to take my time until I found something I really enjoyed. So now, on top of everything else, I had to find a new job. Talk about a year of challenges. The Universe took care of me and I got two great job offers, both making more than what I had been earning. I chose to become Vice President of Marketing in a tech startup. The Universe seemed to be supporting me and directing me on a new route. In order to help my four-year-old son transition from being with both parents to being mostly with me, I decided to get a puppy. I thought this was a great way to distract him from what was really going on. He had always wanted a puppy. New life, new job, a new puppy - what was next? I needed help. I didn't want to repeat the same mistakes. I was doing things on auto-pilot. I didn't truly know who I was or what my greater purpose could be. I was just on survival mode. Be a single mom, train a new puppy, start a new job, deal with an ex. Yes, I was busy...but there had to be more to life than this. Why did it all happen? Where was the Universe steering me? Oh, in case you were wondering, soon after I started my new job, my former boss's girlfriend left him - he had let go of me to keep her and she left him. I had no idea why this happened, but I knew there was something much bigger in store for me. I decided to find out. I decided to take my life to the next level. I made one of the most important decisions and investments ever: I hired a life coach. Little did she know the tremendous impact she would have in my life. 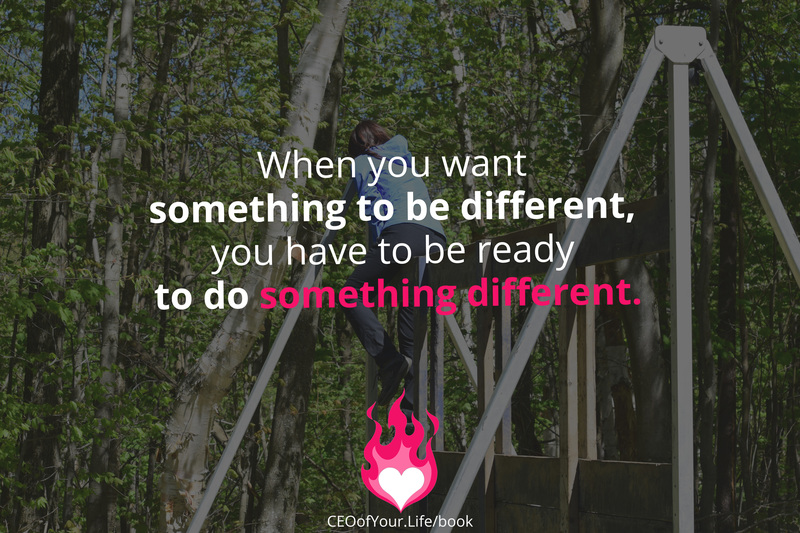 COACHING TIP: When you hit rock bottom and you consciously decide to make changes that feel good, the Universe supports you by propelling you forward. There you have it. My lowest point. When my personal and professional lives both felt like they were crashing to the ground and I didn't know which way to go or what I even wanted. Hiring a life coach was the first step on my journey to creating a successful, meaningful and orgasmically joyful life and business. It was the first decision I had made in a long time that truly felt right in my heart. When you're at your lowest and you begin to tune into your inner voice and make decisions that feel right for you, even if they may not seem right to others, the path before you starts to clear. With each step you gain more confidence in your direction. That energy propels you forward towards the life you truly want. So ask yourself, "If I set aside the doubt, the fear, the worry over what others will think, what step would I take?"